At our rendition of Anton Bruckner’s Symphony No.7 in January 2018 you may have noticed the warm, cantabile sound of the Deutsche Oper Berlin orchestra, something that was widely referred to in the press notices afterwards. As with our performances of Mahler and Brahms previously, that evening, too, demonstrated how experience of Richard Wagner’s musical language is the ideal key to reading classical and romantic symphonies. There is no better coach than Wagner in how to strike that balance between natural singability and dramatic expression and no better way to acquire a feel for space and what it is to truly let rip onstage – and THE RING OF THE NIBELUNG is the best example of this. For me, it is moments like these that provide the nicest confirmation that we will be delivering the same kind of enjoyable musical experiences this season as in previous seasons. In Beethoven’s “Eroica” and Mahler’s Symphony No.6 we have opted for two works whose dramatic aspirations dovetail particular well with our own approach. And with the completion of our new RING production still some way off, we can at least use our concert as part of the Musikfest Berlin to present the symphonic dimension of the tetralogy in the form of the third act of SIEGFRIED. Information on these events and on our lieder recitals, chamber concerts and jazz programmes is available in our calendar. Donald Runnicles, a Scotsman by birth, has held the position of General Music Director of the Deutsche Oper Berlin since 2009. Since 2006 he has headed the Grand Teton Music Festival and been Principal Guest Conductor of the Atlanta Symphony Orchestra. He was also Principal Conductor of the BBC Scottish Symphony Orchestra from 2009 to 2016, when he assumed the role of “Conductor Emeritus”. He made his debut at the Deutsche Oper Berlin in 1989 with Verdi’s IL TROVATORE. In 2007 he created waves with his tour-de-force rendition of two cycles of DER RING DES NIBELUNGEN. Since taking up his post he has presided over the premieres of LES TROYENS, TRISTAN UND ISOLDE, DON CARLO, JENUFA, LOHENGRIN, PARSIFAL, PETER GRIMES, FALSTAFF, BILLY BUDD, LA DAMNATION DE FAUST, LADY MACBETH OF MTSENSK DISTRICT, ROMEO AND JULIET, THE MAKROPULOS AFFAIR, DIE ENTFÜHRUNG AUS DEM SERAIL, COSI FAN TUTTE, DEATH IN VENICE, DER FLIEGENDE HOLLÄNDER and the world premiere of L’INVISIBLE. He has also conducted performances of HÄNSEL AND GRETEL, MANON LESCAUT, DER ROSENKAVALIER, OTELLO, TANNHÄUSER, PELLEAS ET MELISANDE, DON GIOVANNI, TOSCA, DIE MEISTERSINGER VON NÜRNBERG, DER RING DES NIBELUNGEN and other works. Runnicles studied in Edinburgh and Cambridge but began his career in Germany, working at a variety of posts that included general music director in Freiburg. His 1988 debut in the USA, when he took over the baton of a production of LULU at the New York Met at very short notice, was a sensation. Two years later he was officiating for DER RING DES NIBELUNGEN at the San Francisco Opera, which led to his installation there as Music Director, a position he held from 1992 to 2009. During his time in San Francisco he conducted over 60 productions, among them world premieres of Adams’s DOCTOR ATOMIC, Susa’s THE DANGEROUS LIAISONS and Wallace’s HARVEY MILK. He is a regular guest at leading opera houses of international repute and is widely considered one of the world’s major conductors of both symphonies and opera. He has conducted at the festivals of Bayreuth, Glyndebourne and Salzburg, at the Metropolitan Opera New York, the Opéra National de Paris, La Scala in Milan, the Staatsoper Unter den Linden, the Oper Köln, the Bayerische Staatsoper in Munich, the Hamburgische Staatsoper, the Königliche Oper in Copenhagen, the Oper Zürich and the Netherlands Opera. He maintains particularly strong links to the Wiener Staatsoper, where he conducts DER RING DES NIBELUNGEN on a regular basis. His other Vienna premieres have been LADY MACBETH OF THE MTSENSK DISTRICT, PARSIFAL, BILLY BUDD and DIE TOTE STADT at the Wiener Staatsoper and THE FIERY ANGEL and DEATH IN VENICE at the Theater an der Wien. Runnicles collaborates regularly with the Sächsische Staatskapelle Dresden, the Tonhalle Orchester Zürich, the Royal Concertgebouw Orchestra, the Chicago Symphony Orchestra, the Philadelphia Orchestra, the Cleveland Orchestra, the Sydney Symphony Orchestra and the Berliner and Wiener Philharmoniker. He has been involved in many live recordings. These include full-scale recordings of HÄNSEL AND GRETEL, ORPHEE ET EURIDICE, BILLY BUDD and TRISTAN UND ISOLDE. In 2013 his CD of Wagner arias featuring Jonas Kaufmann and the orchestra of the Deutsche Oper Berlin was rated Vocal Recording of the Year by Gramophone Magazine. The DVD recording of JENUFA with the orchestra and chorus of the Deutsche Oper Berlin was nominated for a “Best Opera Recording” Grammy in 2015. May 2018 will see the release by Oehms Classics of a recording of the world premiere of Aribert Reimann’s L’INVISIBLE with the orchestra of the Deutsche Oper Berlin, conducted by Donald Runnicles. 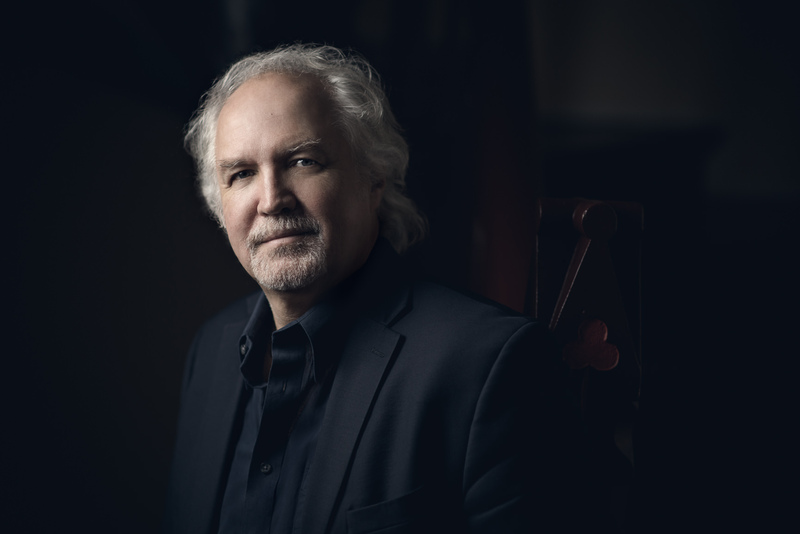 Parallel to his activities as a conductor, Donald Runnicles is also a sought-after pianist and appears in chamber concerts and as an accompanist. For services to music Donald Runnicles has been awarded honorary doctorates by Edinburgh University, the San Francisco Conservatory of Music and the Royal Scottish Academy of Music and Drama and is a holder of the Royal Medal of the Royal Society of Edinburgh. In 2004 Queen Elizabeth II appointed him to the Order of the British Empire (OBE). 2012 marked the 100th anniversary of the Deutsche Oper Berlin and with it the opera house’s renowned orchestra. The remarkable history of this orchestra is closely linked to the city’s own tale. When a group of Berliners founded their own opera over a century ago - a house that, dispensing with private boxes and offering unimpeded views of the stage regardless of seat position, was the embodiment of a “democratic” ideal - their act was tantamount to a minor revolution. In the 1920s famous personages such as Wilhelm Furtwängler and Bruno Walter were regular guest conductors at the Deutsche Oper Berlin and the first gramophone recordings date back to that period. The opera house fell victim to aerial bombardment in the Second World War and the company spent many years performing at substitute venues before the opera house reopened in 1961 in the Bismarckstraße, its current premises. Since then the Deutsche Oper Berlin has not only been the city’s largest opera venue, with 1860 seats, outstanding acoustics and excellent overall views of the stage, but has also enjoyed a reputation as one of the prime addresses for world opera. A sparkling array of conductors has graced the orchestra podium, either as guests or as principle conductors. They range from Lorin Maazel and Herbert von Karajan to Giuseppe Sinopoli and Christian Thielemann, the latter serving as General Music Director from 1997 to 2004. Since 2009 the Orchestra of the Deutsche Oper Berlin has had a principal conductor of international standing in the form of Donald Runnicles. The great relationship between the orchestra and Runnicles is set to continue until 2018 following the early renewal of his contract. One of the key areas of focus of the Deutsche Oper Berlin concerns the works of Richard Wagner and Richard Strauss. The orchestra’s Wagner tradition has resulted in many of its musicians performing as members of the Bayreuth Festival Orchestra. Another major characteristic of the orchestra is its ongoing interest in contemporary music. Numerous composers have worked closely with the orchestra. The most recent example is Helmut Lachenmann, who collaborated intensively in the run-up to performances of his opera, DAS MÄDCHEN MIT DEN SCHWEFELHÖLZERN. In the autumn of 2017 the opera house hosted the premiere of L’INVISIBLE, the fruit of its latest collaboration with Aribert Reimann, who has an extensive record of premieres performed by the orchestra of the Deutsche Oper Berlin. Preparations for the new opera by Detlev Glanert, OCEANE, are scheduled for the 2018/19 season. Aside from its opera productions the orchestra of the Deutsche Oper Berlin presents leading soloists in its regular symphony concerts both in the Bismarckstraße and at the Berlin Philharmonie. Parallel to this main fare the programme is peppered with concerts performed by a variety of ensembles comprising members of the orchestra – from string quartets to big-band ensembles. The orchestra’s discography extends to almost 200 titles, including numerous outstanding recordings. In its most recent venture into the recording studio the orchestra of the Deutsche Oper Berlin provided the accompaniment for tenor Jonas Kaufmann in a Wagner recital. The CD resulted in a shower of awards, including the “Echo Klassik” prize for Jonas Kaufmann. The DVD of Leoš Janáček’s JENUFA, featuring the orchestra and chorus of the Deutsche Oper Berlin under the baton of Donald Runnicles, was nominated in 2015 for the “Best Opera Recording” Grammy. The recording of Aribert Reimann’s L’INVISIBLE will be followed by Erich Wolfgang Korngold’s DAS WUNDER DER HELIANE [HELIANE’S MIRACLE]. Young musicians under the age of 26 who are currently receiving college training that is of high quality but usually geared to the soloist’s repertoire are given the chance, in the Deutsche Oper Berlin orchestra, to learn the key works of the opera’s repertoire and experience the daily life of a professional at first hand. In one-to-one instruction and in group orchestra work they are monitored and assisted by tutors, mostly by the orchestra concertmasters and principals. The trainees are able to take part in rehearsals, concerts and opera performances if they have become fully familiar with the works with their tutors beforehand. Much attention is also paid to the nurturing of chamber music, which is why Academy trainees are given their own chamber concert slot in the chamber music schedule within any given season’s programme. Each new year sees gifted young students from German music colleges auditioning for a place in the Orchestra Academy of the Deutsche Oper Berlin. Only a few are accepted. Training usually last a year and is partly funded by a grant. An important element of the programme is devoted to preparing trainees for the process of auditioning for a future place on an orchestra. For this reason, since the 2011/12 season the Orchestra Academy of the Deutsche Oper Berlin has also been offering special audition coaching and mock auditions. And the young trainees are not the only people to benefit from this extraordinary tutoring; the Orchestra itself benefits. This is because beyond a level of instrumental proficiency and a high degree of musicality the budding professionals must also show that they have an idea of sound and tonality that gels with this orchestra and justifies their induction into it. This allows gifted individuals to be developed at the Academy into professionals who can perpetuate the tonal tradition of the orchestra of the Deutsche Oper Berlin. Around a fifth of current orchestra members are former trainees at the Orchestra Academy. 70% of orchestras in Germany are operatic orchestras. This makes the Orchestra Academy of the Deutsche Oper Berlin a successful model for various types of academy functioning as feeders for operatic orchestras. In the 2018/2019 season the Deutsche Oper Berlin welcomed the following trainees to the Orchestra Academy: Frans van Schoonhoven, Naoki Yamaguchi, André Robles Field, Emily Mücke, Charlotte Veihelmann, Raphaëlle Zavattero (Violin), Uhjin Choi, Hyunil Yang (Viola), Weimu Gao, Josua Petersen (Violoncello), Kevin Zenteno, Hee Su Oh (Double Bass), Maximilan Schellenberger (Horn), Marie Zimmer (Harp), Lukas Zeuner (Percussions). At our rendition of Anton Bruckner’s Symphony No.7 in January 2018 you may have noticed the warm, cantabile sound of the Deutsche Oper Berlin orchestra, something that was widely referred to in the press notices afterwards. As with our performances of Mahler and Brahms previously, that evening, too, demonstrated how experience of Richard Wagner’s musical language is the ideal key to reading classical and romantic symphonies. There is no better coach than Wagner in how to strike that balance between natural singability and dramatic expression and no better way to acquire a feel for space and what it is to truly let rip onstage – and THE RING OF THE NIBELUNG is the best example of this. For me, it is moments like these that provide the nicest confirmation that we will be delivering the same kind of enjoyable musical experiences this season as in previous seasons. In Beethoven’s “Eroica” (29 March 2019) and Mahler’s Symphony No.6 (8 May 2019) we have opted for two works whose dramatic aspirations dovetail particular well with our own approach. And with the completion of our new RING production still some way off, we can at least use our concert as part of the Musikfest Berlin to present the symphonic dimension of the tetralogy in the form of the third act of SIEGFRIED. Classical art songs and modern poetry – lieder recital meets poetry: reading in this series of events organised jointly with the Haus für Poesie. Each of the four evening events held in the foyer of the Deutsche Oper Berlin will feature a poet reading original works whose themes complement the songs on the programme. Musicians of the orchestra of the Deutsche Oper Berlin often take a break from Wagner, Verdi, Puccini and Mozart and tackle pieces by composers of well-known jazz standards, applying themselves to works by such luminaries as Thad Jones, Count Basie, Duke Ellington, Sammy Nestico, Cole Porter, Jerome Kern, Irving Berlin, Frank Sinatra and Peter Herbolzheimer. Regular appearances by the musicians centring on Sebastian “Sese” Krol and Rüdiger “Rübe” Ruppert along with major figures of the German jazz scene have proven very popular with audiences. The Deutsche Oper Berlin big band’s original take on swing and funk numbers is a guarantee for high spirits and a good time for all!